The ‘suspended’ chairman of the Ondo State chapter of the All Progressives Congress, APC, Isaacs Kekemeke, has dragged the state governor, Rotimi Akeredolu, before the south west zone of the party, accusing him of being behind his recent woes. In the petition addressed to the regional office of the party on Tuesday, Mr. Kekemeke alleged that the governor was fuelling the crisis within the party. Mr. Kekemeke was controversially suspended by some members of the state executive committee over allegations of anti-party activities and dereliction of duty as chairman of the party. His deputy, Ade Adetimehin, was appointed to act as chairman, pending the conclusion of work by an investigative panel set up to probe the allegations levelled against him. Some APC followers believe that Mr. Kekemeke’s allegation against the governor reflected the posture of his administration of excluding party members who did not support his governorship candidacy. 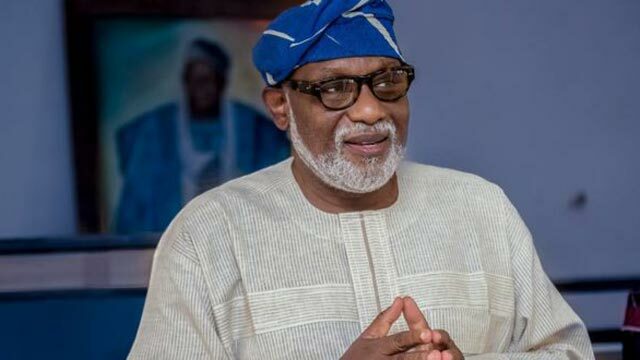 Mr. Kekemeke, who insists he remains the chairman, said Mr. Akeredolu had refused to put behind him the controversy surrounding his emergence as the gubernatorial candidate of the party from the September 2016 party primaries. Mr. Akeredolu won the primaries, and the eventual election, in controversial circumstance despite the opposition of some party leaders including Mr. Kekemeke and former Lagos governor Bola Tinubu. The party chairman alleged that the governor had been using government machinery to vilify those who were perceived not to be in his camp during the last election of the party. “Clearly this song with its familiar and cacophonic tune was scripted by Mr. Rotimi Akeredolu, Governor of Ondo State, who has refused to break-away from the bitterness and vestige of the Ondo State APC gubernatorial primary election,” he asserted. The Chief Press Secretary to Mr. Akeredolu, Segun Ajiboye, denied that the governor was involved in the current travails of the chairman. He said Mr. Akeredolu had been very much engaged with matters of state and had no time to meddle in the affairs of the party leadership. According to Mr. Ajiboye, the suspension of the chairman was purely a party affair. “The governor is too busy to be involved in the administration of the state and the party at the same time,” said Mr. Ajiboye. “It must be noted, however, that no meeting of the State Executive Committee was ever called by either the State Chairman or the State Working Committee; neither was there a complaint nor petition by any member against the Chairman or any other officer received; to necessitate the invoking of the disciplinary procedure as provided for by Article 21(B) of the APC Constitution,” he said. “We are however baffled that such a respected and respectable organ of our party created by the Constitution for noble ends, could be wrongly and maliciously appropriated by a few misguided and unqualified elements without regards to the clear constitutional requirements of the mode and composition of that organ. “And most shockingly, with the active connivance of the State Governor, who ought to know better, but is only bent on re-enacting his position immediately before the Ondo State APC gubernatorial primary election. He however urged the zonal committee to intervene to forestall further derailment of the party leadership. “Your intervention in accordance with Article 13.5(i) and 21(B)(V) of the Constitution of the Party can prevent the implosion that is waiting to happen,” Mr. Kekemeke said.